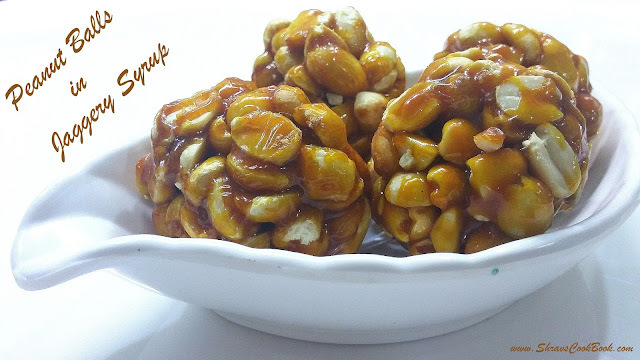 Kadalai Urundai recipe known as (Ground nut) Peanut Balls in english also called Verkadalai mittai in Tamil. This is traditional indian sweet recipe and quite common in almost all the houses in Tamil nadu during Karthigai Deepam Festival. In telugu language this recipe has few other names "verusenaga pappu undalu", "palli bellam undalu" or "palli muddalu" or patti. 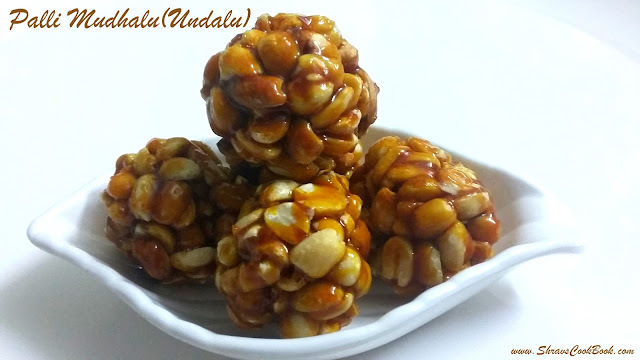 Pottukadalai urundai (Dalia Balls), Pori Urundai (Puffed Rice Balls) etc all follow the same foot steps i.e. procedure for making all these urundai is the same. I made these balls for the very first time and they came pretty perfect. Previously I tried Pori Urundai and had few flops with either with jaggery syrup's consistency or I was unable to shape the balls perfectly round in shape. 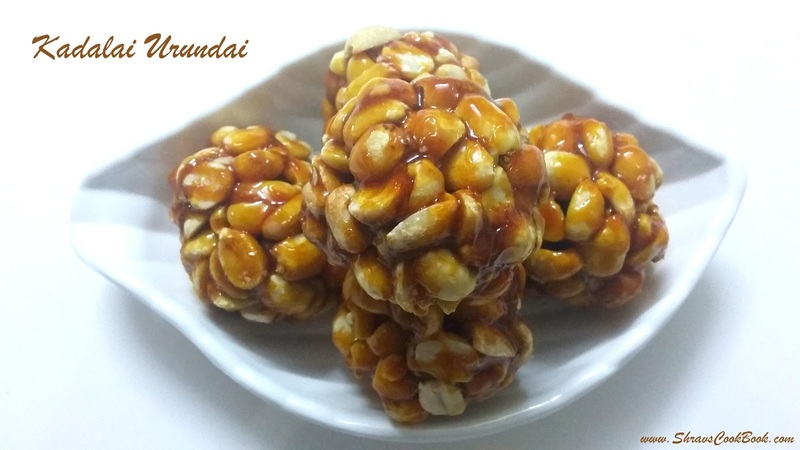 When I mastered making pori urundai, it turned out quite easy for me to make this recipe. Basically I love pori urundai but my husband loves "crispy kadalai urundai" so I made these to satisfy his sweet tooth cravings. 3. Once they are cooled, press them with a bowl or with your fingers, discard and phew the skin of groundnuts. 18. These urundai or balls can be stored in air tight containers and kept it in the room temperature will stay good for about 15 days. 3. For Kadalai Urundai Hard Ball consistency is desired and for Pori Urundai Soft Ball is desired. For a visual idea on how to get proper syrup consistency you can watch this video by Raks kitchen.